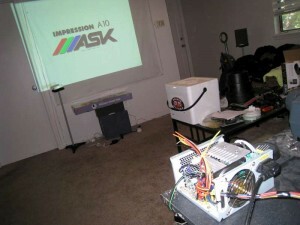 The Mind of Bill Porter > Projects > Projector ATX Power Supply for Frankenjector! Projector ATX Power Supply for Frankenjector! 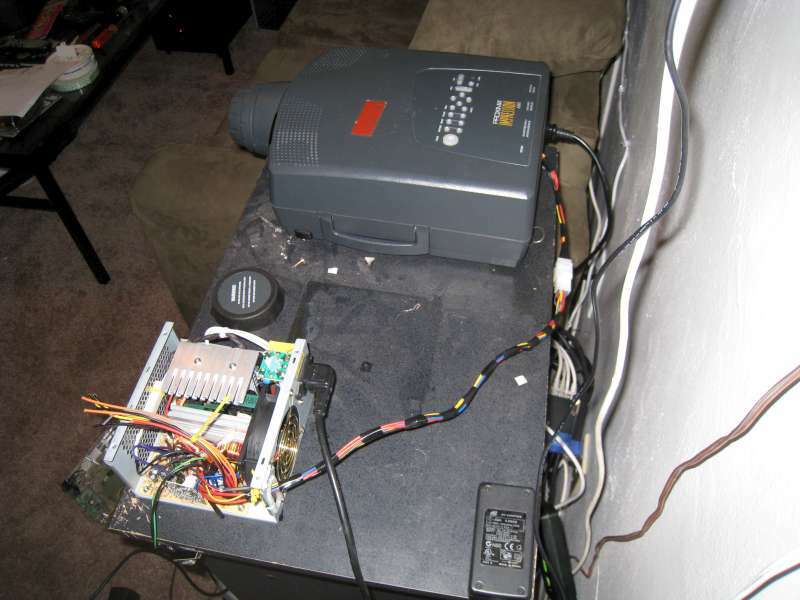 For a while in college I had an aging Ask Proxima projector I used in my living room. I got it for a steal on ebay because it had a broken lens. I was able to correct the lens problem and it worked beautifully for a year. Then suddenly, it refused to stay on. I don’t like throwing things away, so when I got some free time, I decided to take a look at it. 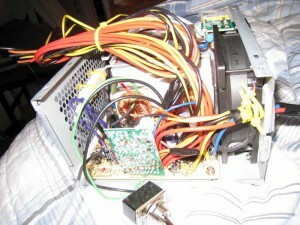 What I discovered by process of elimination was that the power supply for the onboard electronics had gone bad. There was no way to order a new one as this was a 10 year old projector. So I decided on something different. 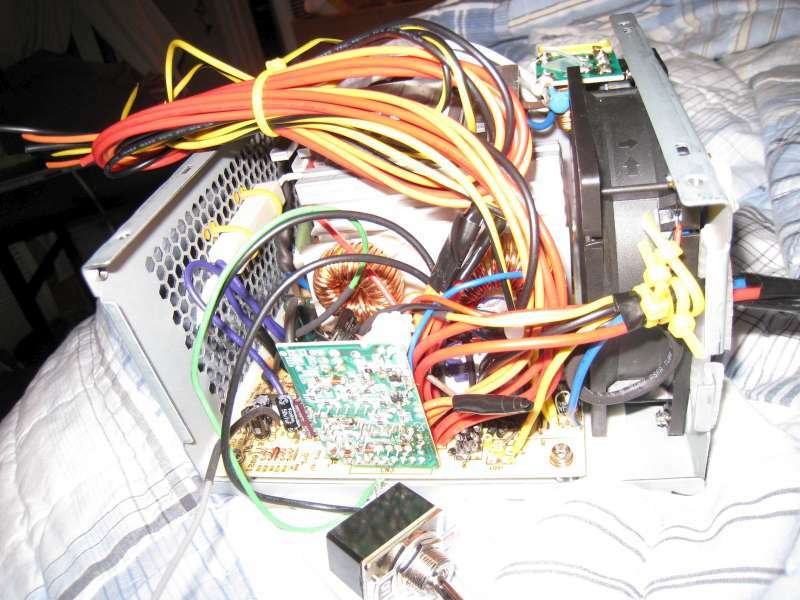 I was able to acquire an odd PC power supply that no one wanted. 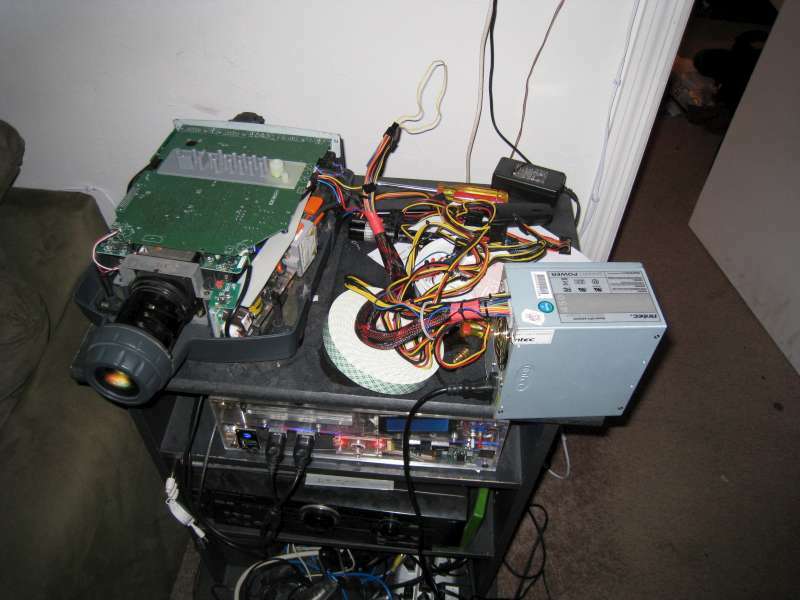 For some reason, it was built so that the low voltage wires came out of the same side as the AC input for the supply. Therefore it could never be used in a normal desktop computer case. But it work work for what I needed it to do as it had all the voltages the projector required. I did a quick wiring test, and the projector came back to life! I decided I was going to turn it into an external power supply for the projector. I ended up cutting off most of the low voltage wires, except those needed for the projector; +12, +5, GND, and -12. 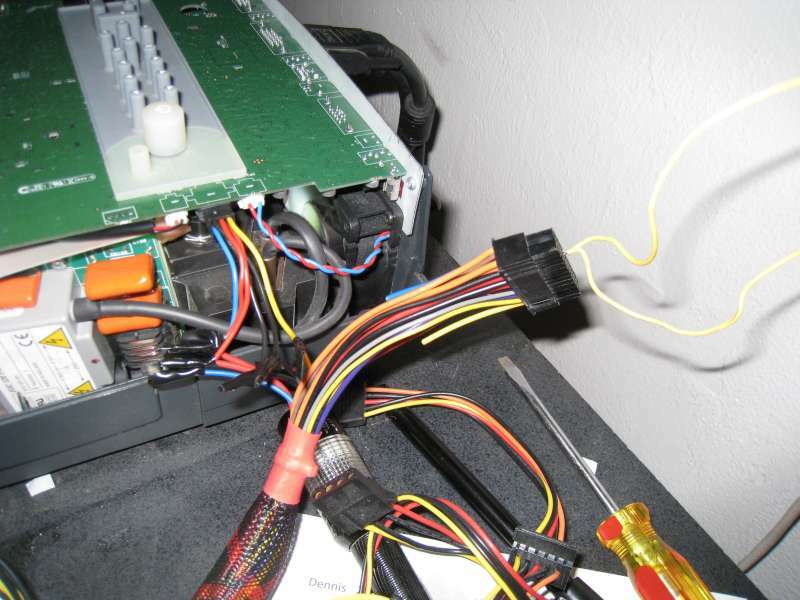 Thankfully, the designers of the projector stuck to the standard wire color to voltage scheme and it was easy for me to reverse engineer the pinout on the projectors PCB power socket. Since I was already rewiring the power supply for the projector, I thought I might add a few things to get another use out of it. I added binding posts to the top of the power supply to be able to use it as a DC power supply for any future circuit projects I might do. 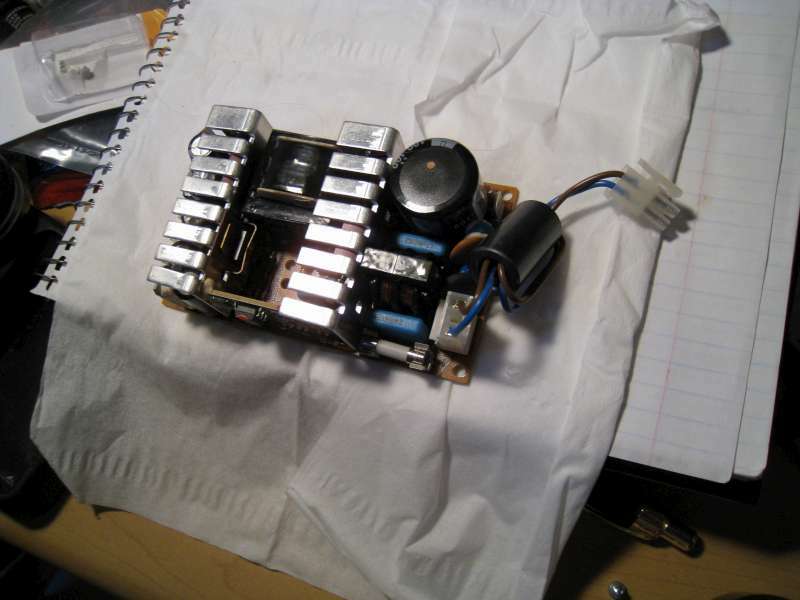 I also had to add a 10 Watt ceramic resistor to the power supply. 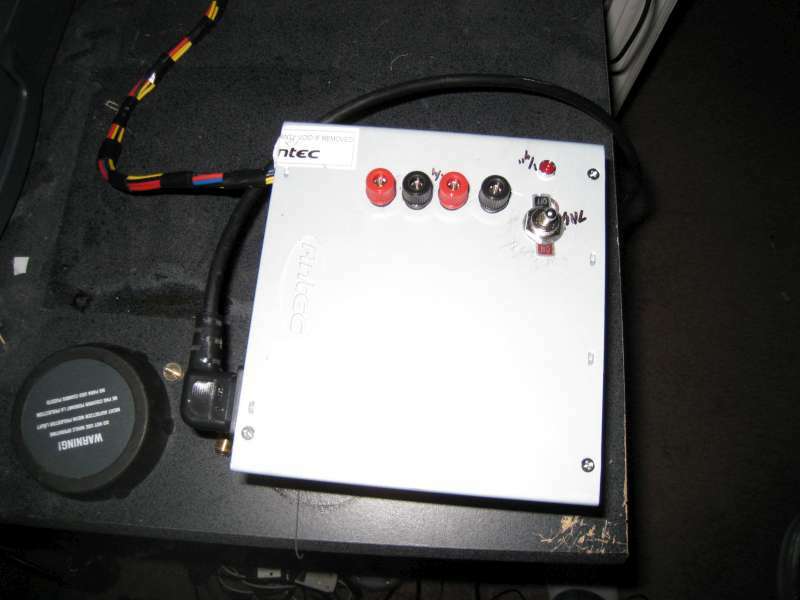 The reason for this is because switching power supplies usually have a minimum current they operate at. If this minimum current is not met, the voltage may drift. I wired the resistor to 5V and zip tied it to the fan to dissipate heat it produces. This allowed the power supply to operate at the correct voltage, even when nothing is connected to it. I extended the projectors wires outside of its case and added a six pin plug that mated with the external power supply. 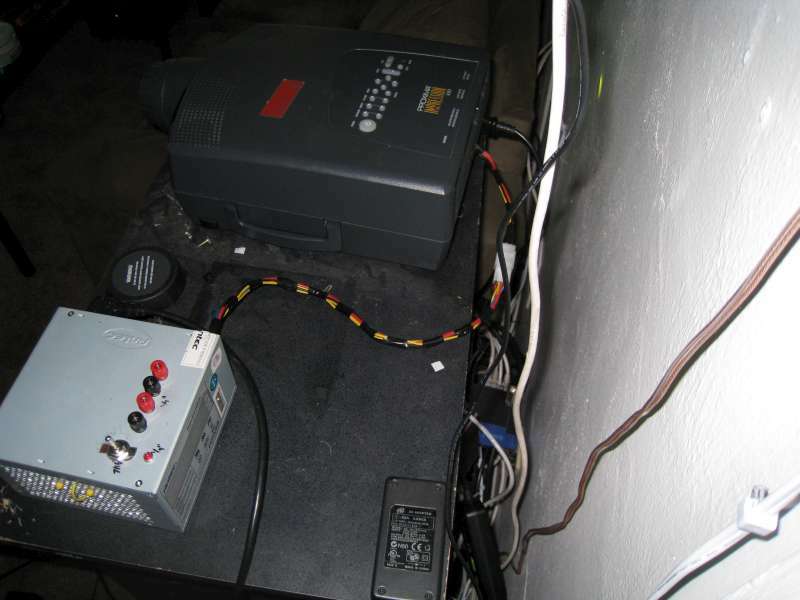 Now when I need 3.3, 5 or 12 volts for a project, I simple unplug the power supply from the projector and use it on my workbench. My roommate and friends coined the term ‘FrankenJector’ for the device after it was brought back from the dead.